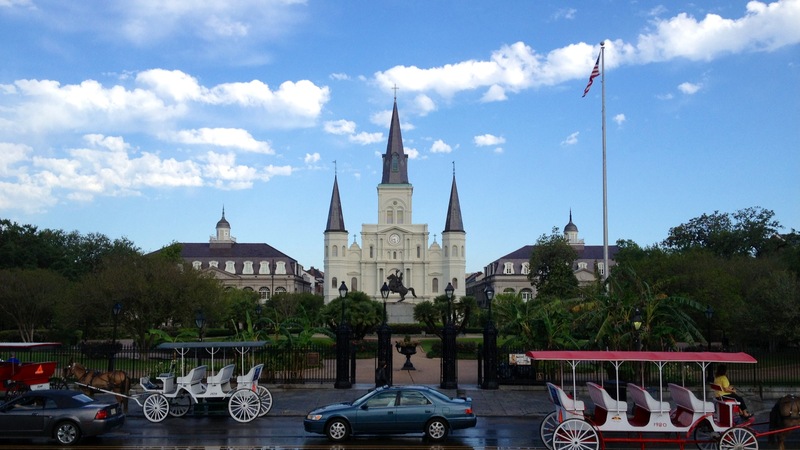 A curveball from New Orleans this afternoon… since I was on stage this morning to moderate a panel discussion on what makes a bank successful (to open this year’s Growth Conference at the Ritz-Carlton — #BDGrow13), my friend, colleague and Managing Editor of Bank Director magazine agreed to author today’s column. The first guest post on About That Ratio, courtesy of Naomi Snyder, summarizes the investor community’s view on banks today. As an industry veteran of more than 40 years and private equity investor in 15 banking companies, John Eggemeyer loves banks. 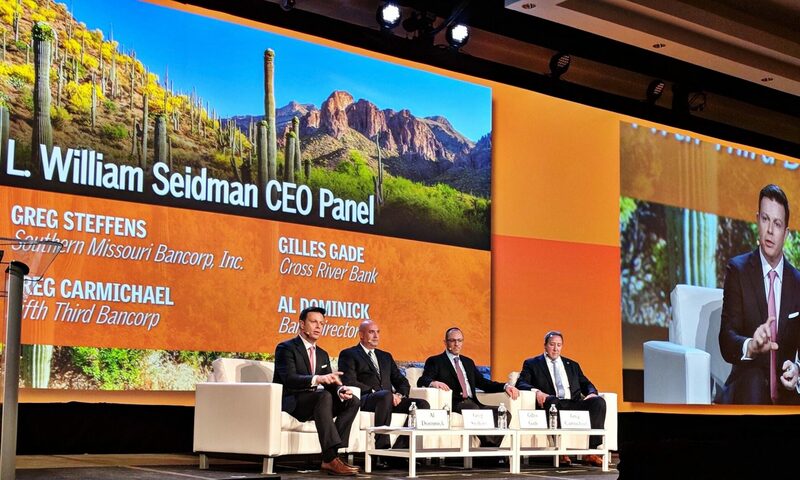 But the co-founder of Castle Creek Capital LLC and Castle Creek Financial LLC had some hard-to-swallow statistics and opinions for a crowd of nearly 200 bankers and industry executives (198, but who’s counting) at Bank Director’s inaugural “Growth Conference” in New Orleans today. Publicly traded banks from $1 billion to $5 billion in assets have seen their stock values rise at about half the rate of the broader market as a whole since early 2009. Of the 300 or so publicly traded banks in that size range, only about 60 of them are trading at their pre-recession price multiples, he said. In the last 40 years, bank stocks always followed the same pattern in a recession: falling in value quicker than the rest of the market and recovering quicker. That didn’t happen during the latest recession. “We have lost a tremendous amount of value relative to the broader market,’’ he said at a session focused on the views of bank investors. It may be that investors are recognizing tough times ahead for the banking industry, where there are simply too many banks offering similar products and services. Low interest rates and a slow economy aren’t helping. Eggemeyer predicts that there will be substantial consolidation in the industry, both in terms of banks gobbling up other banks, and also in terms of branch reduction. Collyn Gilbert, a managing director at Keefe, Bruyette & Woods, reiterated that view. “At the end of the day, how many unique stories are there?” she said. Eggemeyer says he prefers to invest in banks that have strong pre-tax, pre-provision earnings that are operating in good growth markets. Bank of America can’t outgrow the U.S. economy and it can’t acquire other big banks. A smaller community bank in a good market can do both those things, he said. However, he thinks investors focus too much of their time on growth. In reality, strong profitability will position a bank for growth. Gilbert agreed. “I think there needs to be a much better focus on the earnings side,’’ Gilbert said. Naomi Snyder, awarded the coveted “Gila Monster” moniker at this year’s Acquire or Be Acquired conference, is Managing Editor at Bank Director magazine. Prior to joining our team, she spent 13 years as a business reporter for newspapers in South Carolina, Texas and Tennessee. Most recently, she was a reporter for The Tennessean, Nashville’s daily newspaper. She also was a correspondent for USA Today. Naomi has a bachelor’s degree from the University of Michigan and a master’s degree in Journalism from the University of Illinois.